In the first of a three-part series, our reporter who trekked through the Western Ghats tracing the routes of new roads holds a mirror to the devastation. The Western Ghats, a bio-diversity hotspot, is slowly but steadily being chipped away by the politician-contractor-bureaucracy nexus. 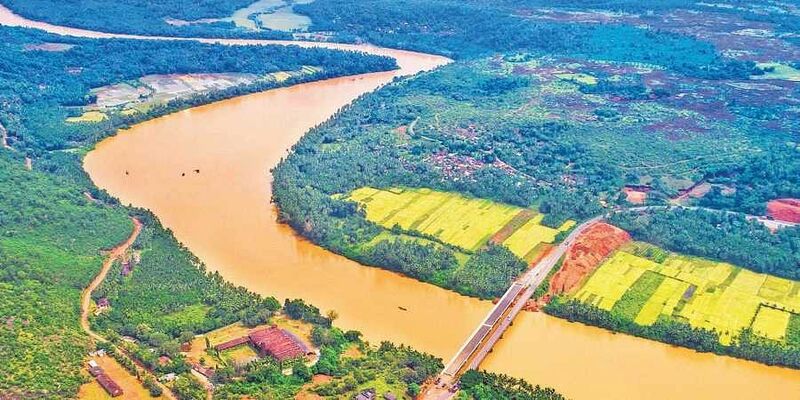 New highway projects slicing through the Ghats in Karnataka are expected to swallow more than 7 lakh trees. 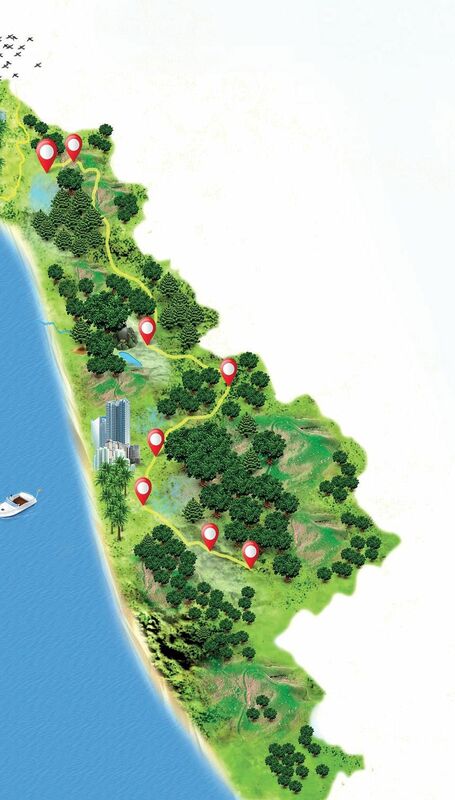 While the recent floods in Kerala and Kodagu demonstrated the danger of toying with nature, the National Green Tribunal's direction to the Centre to notify eco-sensitive areas in Western Ghats may perhaps pause this senseless destruction. In the first of a three-part series, our reporter who trekked through the Ghats tracing the routes of new roads holds a mirror to the devastation. SULAVALI VILLAGE, UTTARA KANNADA DISTRICT: Sulavali, the last village on the Karnataka-Goa border in Uttara Kannada district, lies close to the birthplace of River Kali. Eight families, the only ones living here, are in constant conflict with wild animals and are cut off from the mainland during monsoon. They have been demanding relocation for years now. Instead, they have been given a road and bridge they never wanted, and by axing large trees in the middle of Kali Tiger Reserve. Similarly, Kundal village – in the middle of the reserve – has a few houses. Here, a huge bridge looms over the emptiness and a desolate new road. At Waghbang village, another deserted 9-km road runs right into the thick of Western Ghats forests – from the anti-poaching camp in the village to Terali. This is a Rs 7-crore project. Clearing huge forest cover for such projects is now being blamed for the tragedy that struck Kodagu district during the recent rains. “Slowly and systematically, roads that pass through the reserve and the surrounding Ghats are being built or widened,” says a wildlife activist in Dandeli. These roads segment the Ghats and put its delicate ecology, which survives on interconnectedness, at risk. “These contractors have not approached the central authorities for clearances,” adds the activist. Timeline of these projects and the speed with which they have been completed, or are nearing completion, indicate that he could be right. Most of these works were started just a few months before the recent Karnataka elections. It takes a minimum of six months to one year to procure permission from the Central authorities -- the central team has to visit and inspect the area to see if the project is required. But, these works are nearly finished already. The forest department has remained a mute spectator because political leaders don’t like any interference, and there could be abrupt transfers. Deputy Ranger C R Naik, known for his research on frogs and reptiles, tried to stop construction of a road between Gal to Kumgal village, in a core area of the reserve in Anshi Range. A day later, he was deputed to the remote Sulgeri and the road, done in weeks. The mechanism of loot is simple. A Zilla Panchayat member in the district, who owns jelly-crushing units in Belagavi, supplies building materials for these projects. “The work is given to the class-one contractors who subcontract the work to locals, most of who are members of political parties,” adds the activist. The Forest Department officials inform the National Tiger Conservation Authority (NTCA) of violations. But, the NTCA officials who come are ‘well looked after’ and they give a no objection report, says the activist. Large heaps of construction debris litter the jungles. Construction company staff are not allowed to stay inside the forest after sunset, but one can find temporary shelters built along all project sites. “Some bridges that are built over Kali are double the required size, to hike up the contract amount,” says a local engineer. The Forest Department fines sub-contractors. But, bigger culprits – contractors sitting in Kumta and Karwar – are left unaffected.